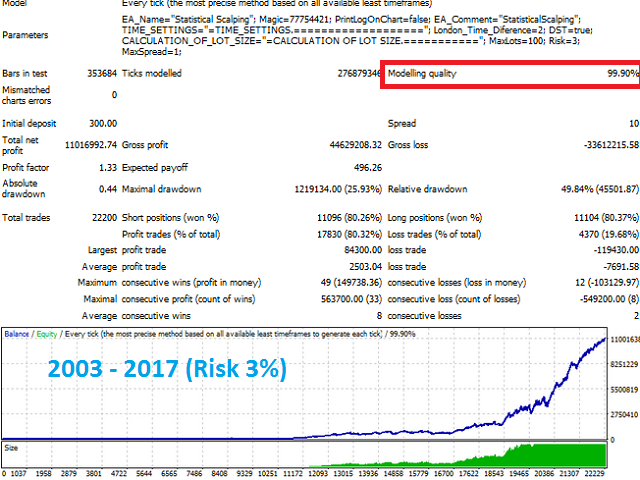 EA Statistical Scalping is an automatic scalping system, designed based on the analysis of statistics for the last 14 years. The EA analyzes market volatility. Trades are opened during price movements and are closed when a certain level is reached. The EA was able to show a profitable tendency when tested for 14 years with different market conditions (flat, trend, economic and political influence on the market, etc.). The essence of this expert lies in statistics - if the EA was able to show a stable growth in such different and complex market situations for such a long period, then statistically there is a very high probability of seeing growth in the future under any market conditions. *MaxSpread - maximum spread for opening trades. 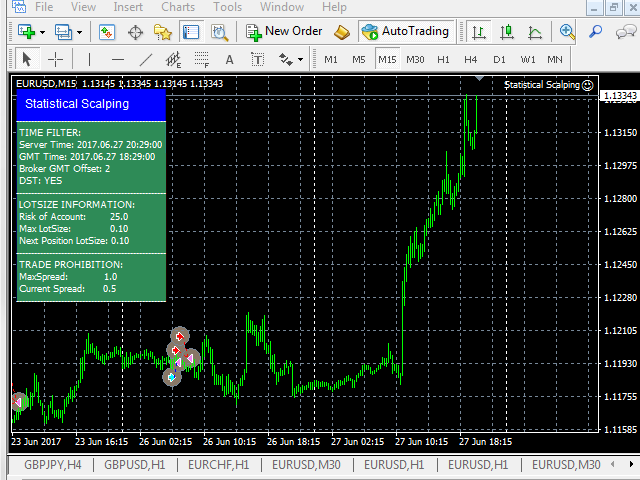 * The spread is indicated in pips (1 pips = 10 points). Fixed lot of 0.01 per 1000 units of the deposit currency. 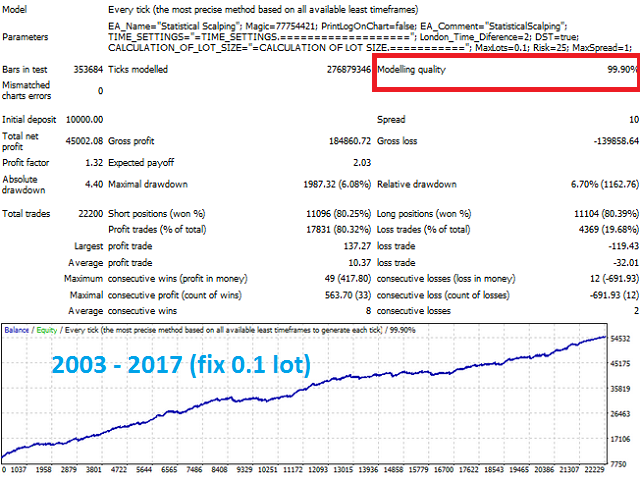 To achieve better results, it is recommended to use accounts with low spreads. The optimal spread for EURUSD is 1 pips or less. The program is constantly being improved, new currency pairs will be added soon! Hi, I think this EA works very fine. I have been checking at the demo account for a long time and after to do the purchase I can confirm that the EA works very well, It uses a strategie that works in the retracement of the main trend for to go in the direction of this trend. Like all the EAs it has its losses but if you trust in the EA in can to have more gains that losses.The autor has answered all my quenstions so for me this is a 5 stars EA.